We have yet another cookie for you this week. 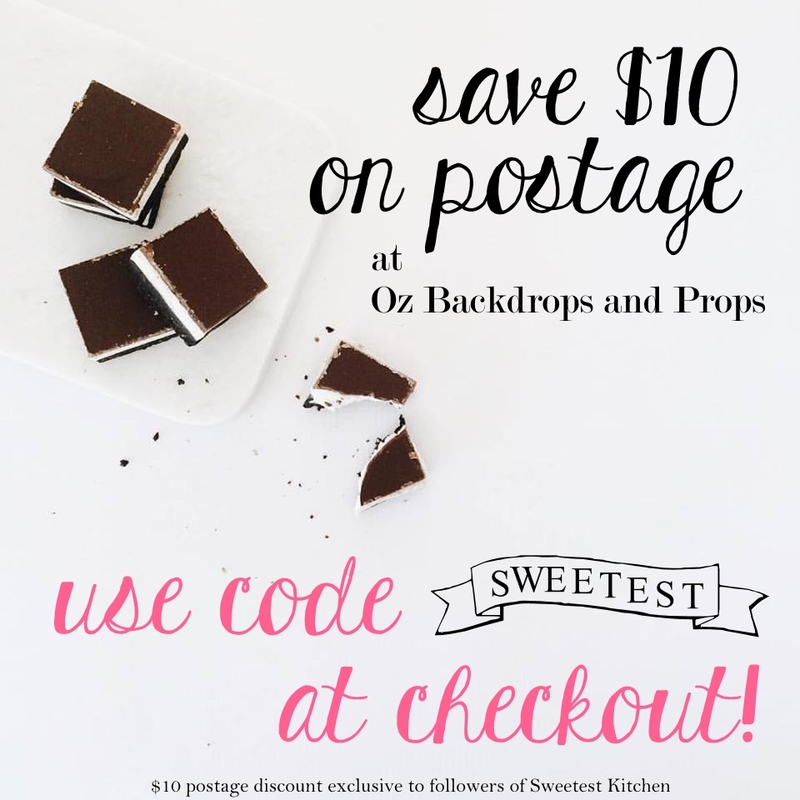 This must be cookie week at The Sweetest Kitchen! Don’t worry, I should have a cupcake for you next week. Now, I’ve already made a peanut butter and Nutella cookie, but I thought I’d try to make a cookie that is half peanut butter, half Nutella. I knew this would be tricky, but I gave it a shot anyway. I used peanut butter and Nutella cookie, but I cut the recipe in half to make one half with smooth peanut butter and the other half with Nutella instead of peanut butter. This is one of my creations, the peanut butter half has chopped up peanuts in it and the Nutella half has semi-sweet chocolate chips in it. 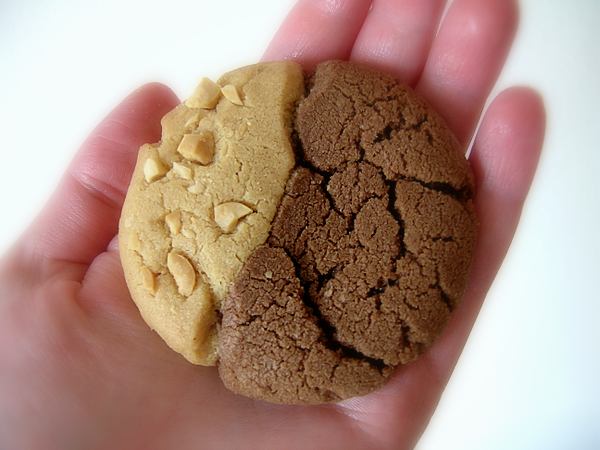 I also made a plain half and half cookie, but the photo above looked nicer, with the peanuts in it. Now this one was really tricky to do with the peanut butter cookie dough, since this dough isn’t actually meant to do this sort of thing with. I took a handful of peanut butter dough, placed it on a pastry mat, flattened it, then took a handful of Nutella dough, flattened it, then put the Nutella dough on top of the peanut butter dough and gently smooshed it together. I refrigerated it for another 15 minutes or so. I used the pastry mat to help roll the dough into a log shape without breaking the dough (though it did break here and there). I then buttered a sharp knife (so the dough wouldn’t stick to it) and sliced the log into a little less than 1/4-inch slices. I had to reshape the slices into circles after I put them on the cookie sheet. What I learned, at least using this particular recipe, is that the Nutella part of the cookie took longer to bake and ended up crunchier than the peanut butter part. It was a little difficult to get the Nutella and peanut butter to stick together and they tended to fall apart “at the seam” while eating. The taste of Nutella and peanut butter wasn’t as strong as if you had eaten it raw, so I was a little disappointed about that, but all in all, it was a pretty good cookie. 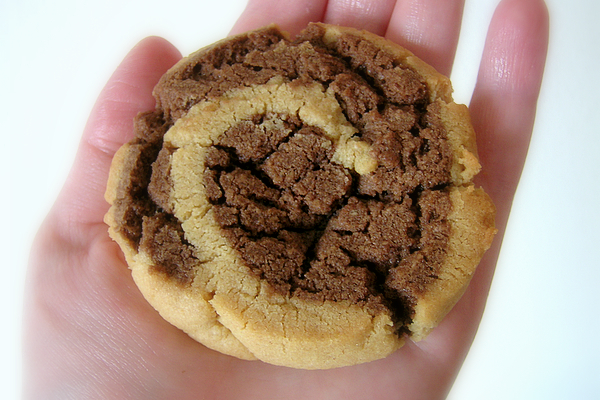 And a quick FYI, in my Nutella and peanut butter cookie search, I found this very nice looking Nutella cookie recipe that I’ll have to try soon.